This package includes surf school and accommodation at our Cabarete surf camp, in Santo Domingo, and is suitable for everyone, from those who have never surfed before to those who want to improve their technique. 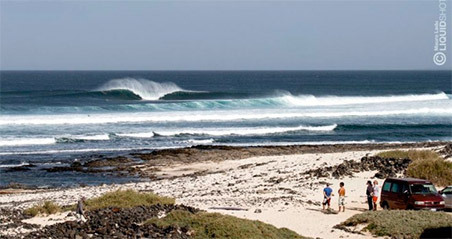 The main surf spot is playa Encuentro, with easy waves to learn and 3 perfect peaks for the advanced. Cabarete is a village in the Dominican Republic, in the Caribbean. Over the last 15 years it changed from a quiet fishing village to the Caribbean capital of the surf, kite and Windsurf. The surf, especially in recent years, has become strong on the northern coast of the island, where conditions are fairly constant and we can find quality spots. With over 300 days of sunshine per year and an average temperature of 25-30 ° C throughout the year, you will spend an unforgettable holiday with the classic Caribbean landscapes, palm trees, white beaches, crystal clear water. From 22:00 it's Party Time in Cabarete, with the many bars, disco and restaurants on the beach, you will not get bored with the Latin rhythm abd vibs! Rental Car: We recommend renting a car directly from the airport. Taxy: Getting to the surf camp by taxy is very convenient, 30 minutes from Puerto Plata airport and 3,5h from Santo Domingo airport. Surfcamp airport shuttle: Upon request we can pick you up directly at the airport, with an additional charge of 90€ per round trip, up to 6 people, from / to Puerto Plata airport (30 minutes from Surfcamp). As for the shuttle service to / from Santo Domingo Airport (3h and 30 minutes from the Surfcamp), the additional cost is 350€ per round trip, up to 6 people.